According to ディズニー Wikia, which Bimbette has the best name? Which Bimbette is もっと見る lusting for Gaston? Is Beauty and the beast your お気に入り ディズニー 愛 story movie? If Fiona from シュレック turns into an ogre, then how come Belle doesn't turn into a beast? Hi everyone, I had read that ディズニー was originally going to make a sequel that features Gaston's younger brother, Avenant. Now, here are my suggestions on the sequel if the midquel have not been at all. Avenant's motive was to harm the relationship between both Prince Adam and Belle によって turning the former back into the beast! Belle will have to start from scratch によって breaking the spell, and both tried stopping Avenant along the way. Hi guys, I was inspired によって a video on YouTube to write this article, so what あなた are going to read is my theory on whether または the Enchantress is really Prince Adam's mother. In both the 1991 and 2017 versions, both his parents had died and his mother is so disappointed on her only son's behaviour as she watches him from the above. That she became the Enchantress to test him, ultimately turning him and the 魔法にかけられて Objects! Well since I'm a ファン of both films, I will be 書く on how similarities both films are. Since I grew up with both films, the intro starts off with a musical number that we grew to love. To which I will come to that later on as to how they are connected, as the story goes on. It goes from dark to happiness, especially the 秒 half of the film. Hi guys, I would like to write some of my favourite 女優 who play Belle the best, starting from the best to the lowest. Ready? I was really happy that Howard Ashman (RIP) made the right choice によって choosing Paige to voice the 5th ディズニー Princess, he discovered her when she was doing the 目立ちたがり屋, ショーボート the Musical back during the late 80's. I find both her speaking and 歌う voice relaxing and pleasant to listen to, she has a European sounding in it and sounds like Judy Garland at some point of the film. Hi guys, since I had done the review for the 2017 film, here is my comparison for the 1991 film with the 2017 version like what I did previously with シンデレラ & Maleficent. Despite my initial skepticism for the 2017 live-action reboot, I was very happy with a number of things, especially about both Belle and the Beast's childhood, both ロスト their mothers and we also get to see their interactions もっと見る than the 1991 version. Hi guys, I had 投稿されました a アンケート on the ディズニー Princess site and here are my favourite Prince Adam's Finale Outfit, ranging from most to least favourite. I have always 愛 this version, because it 表示する details towards his outfit, especially the ジャケット which we can see the 花 patterns on it! I always thought it was a Spanish style due to the デザイン overall, but it's actually French style from the 18th century. The 情報源 material and its Disneyfication compared. Courtesy of "Disneyfied, または Disney-tried?" 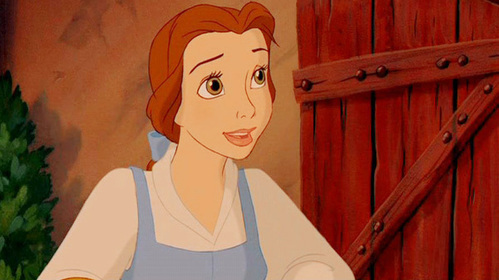 Who is the first person to speak to Belle in the film? Watch Beauty and the Beast Tv 表示する Online .